On June 6, 2016 while Free Range running the WooFPAK, the WooFDriver saw these wispy flowers of what I believe to be the Johnson Grass(Sorghum halepense) in the fields. This grass is considered to be one of the top ten worst weeds in the world! It thrives in crop field, spreading so quickly that it can easily take over the fields, choking out farmed crops. 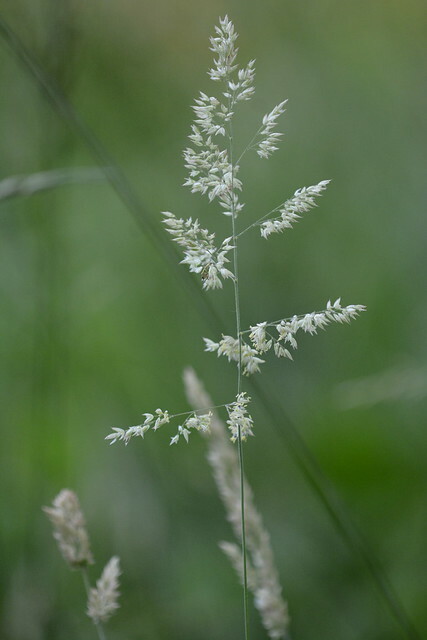 Wikipedia’s Webpage to learn more about these grasses. Here is a couple photos the WooFDriver has captured!